ESET researchers have spotted a new variant of ransomware - CTB-Locker spreading in Europe and Latin America over the past two days. It encrypts user’s files and requests ransom in Bitcoins. 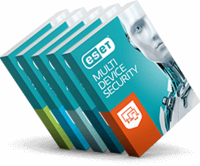 ESET's security expert Stephen Cobb has prepared summary of the most important steps to deterring cybercrime on WeLiveSecurity.com. ESET Competes in European Business Awards in the “Customer Focus” category – You Can Vote for Its Video Now. ESET researchers have published a report on major trends in Windows exploitation and mitigation in 2014 on its security news page WeLiveSecurity.com.